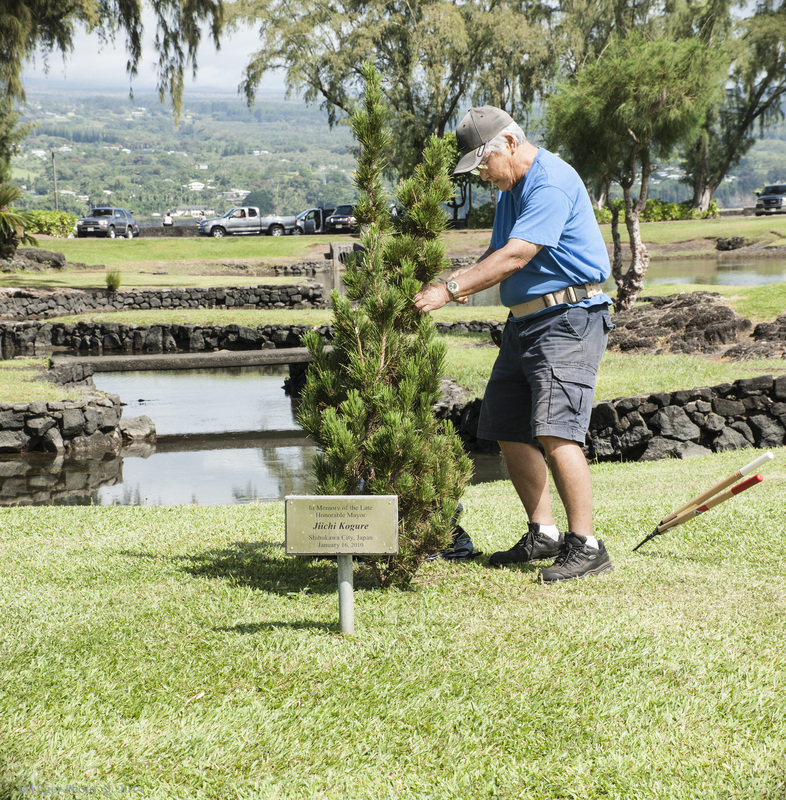 The second volunteer day at Lili`uokalani Gardens was held Friday, June 13, with participation from Moku `Aina, East Hawaii Master Gardeners, and Friends of Lili`uokalani Gardens. 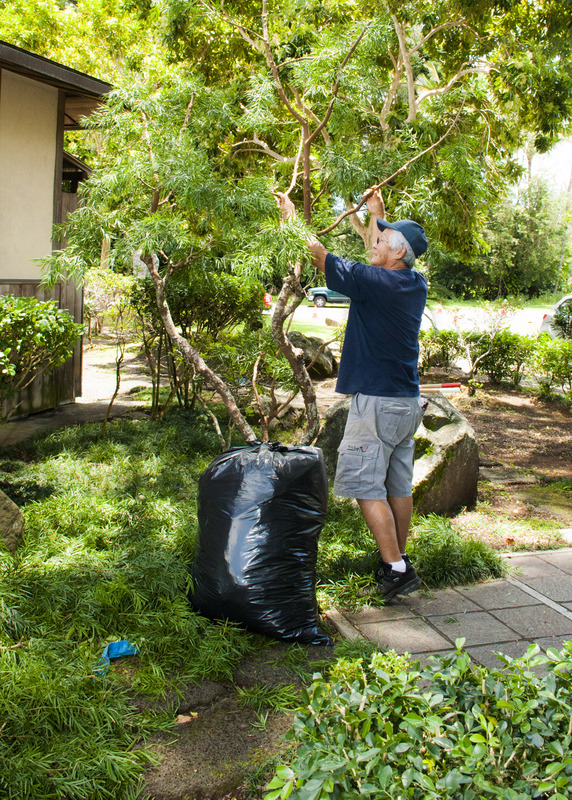 The next work day is scheduled for Friday, July 11. 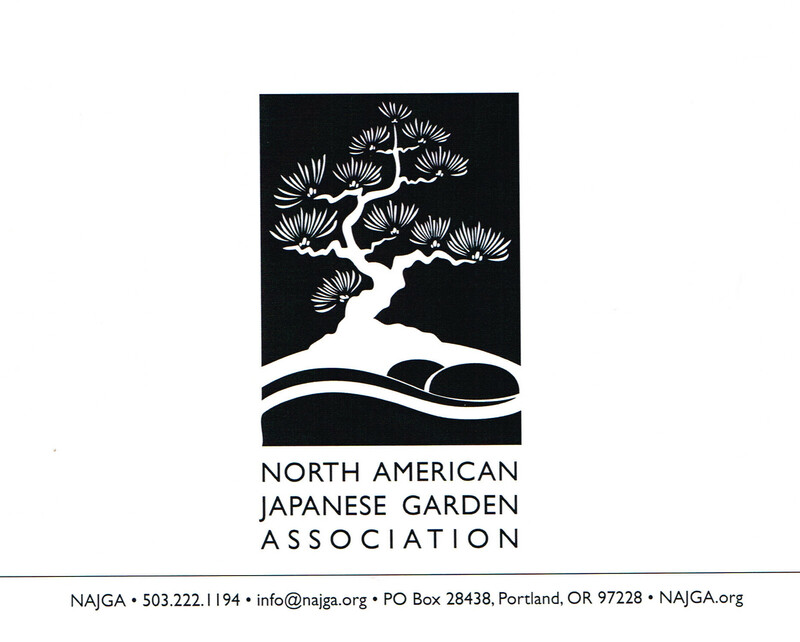 Please contact K.T. 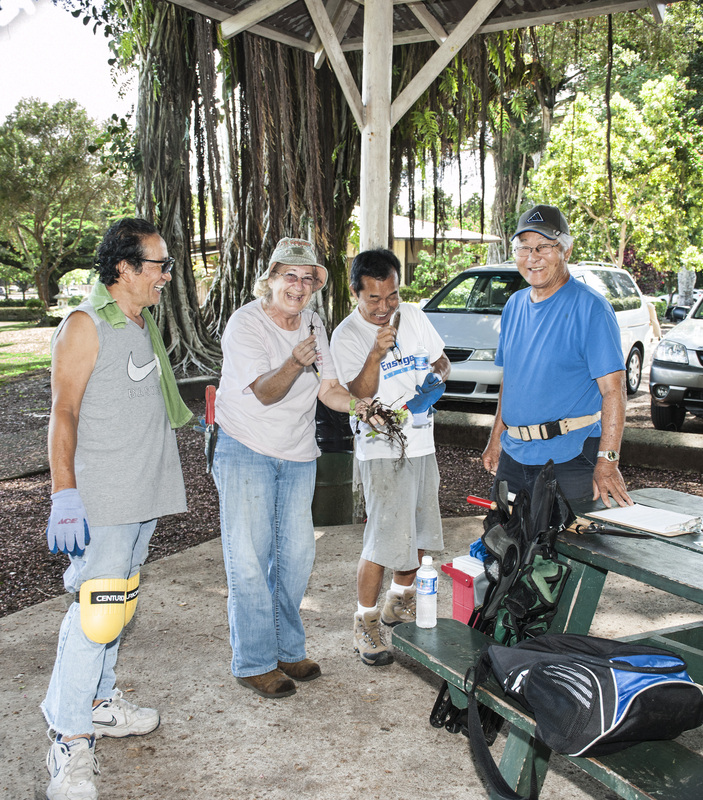 Cannon-Eger at (808) 895-8130 if you would like to assist next time. 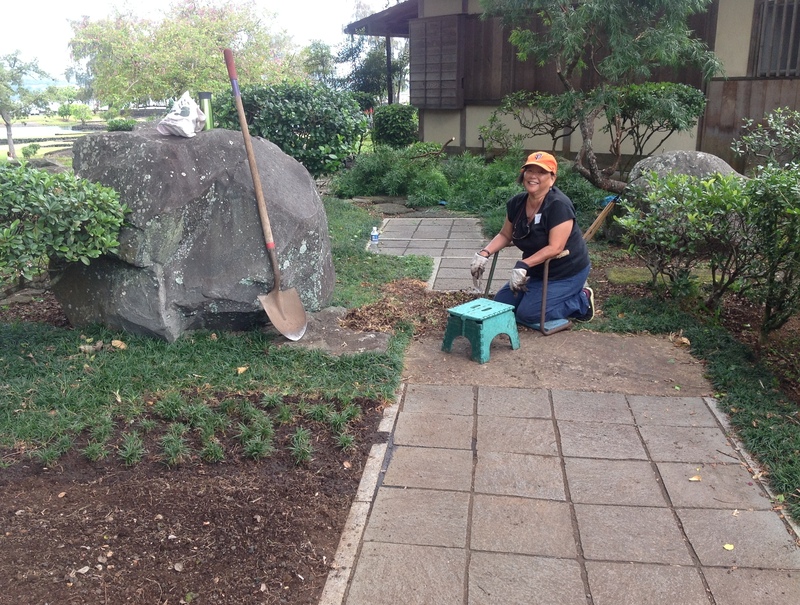 Thanks to a donation of dwarf mondo grass from Mountain Meadows landscape nursery, a bare patch near the entry path to Shoroan, the tea house, was completed. 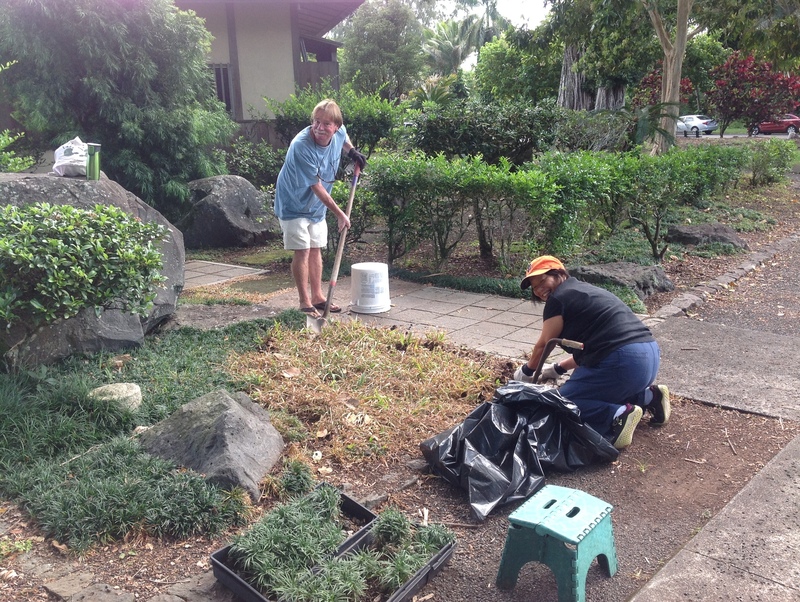 East Hawaii Master Gardeners Daniel Heitman and Diane Fournier finished the weeding and installed the new plants. 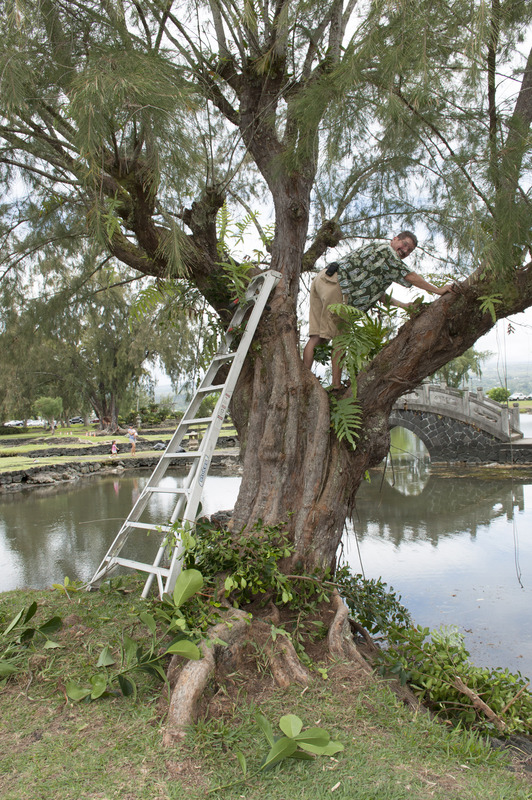 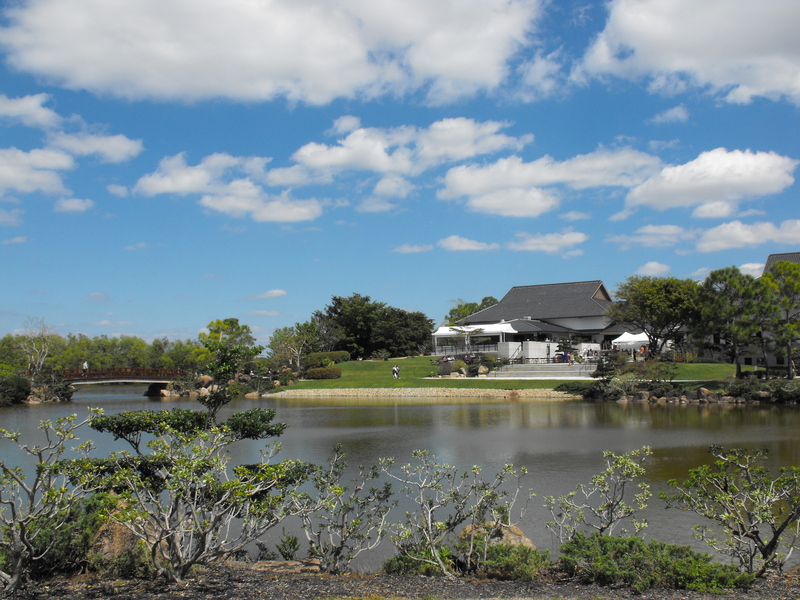 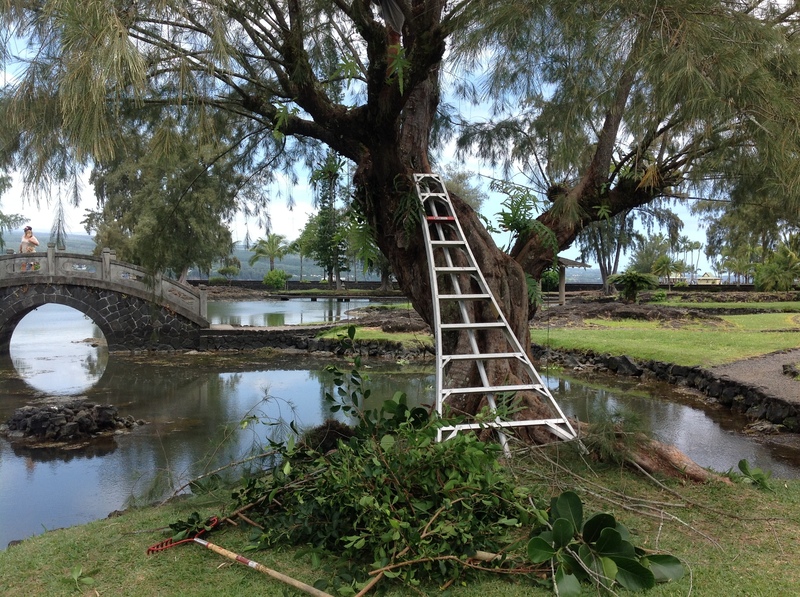 Kenji Kuroshima and Keiji Ichikawa from Friends of Lili`uokalani Gardens tackled removal of small banyan trees and roots from the roof of the tea house. 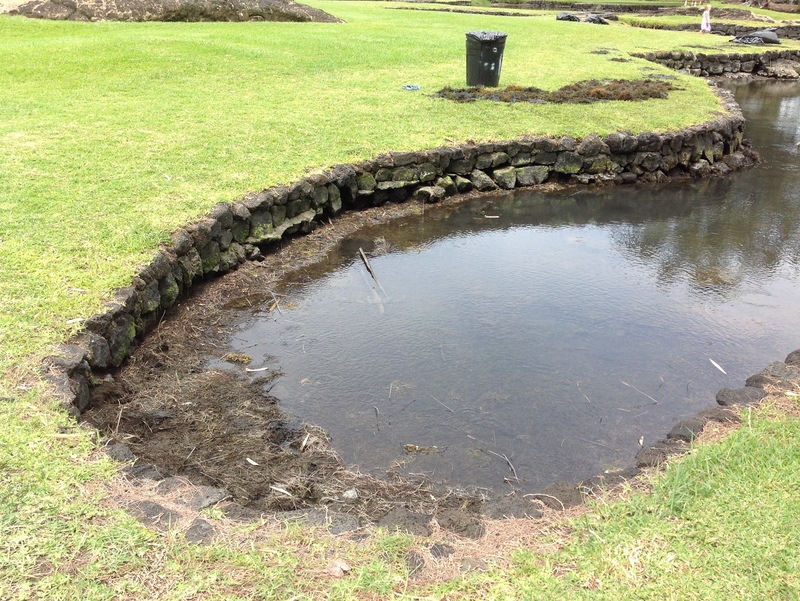 They are visible in the mondo grass photo in the background and in the following photo. 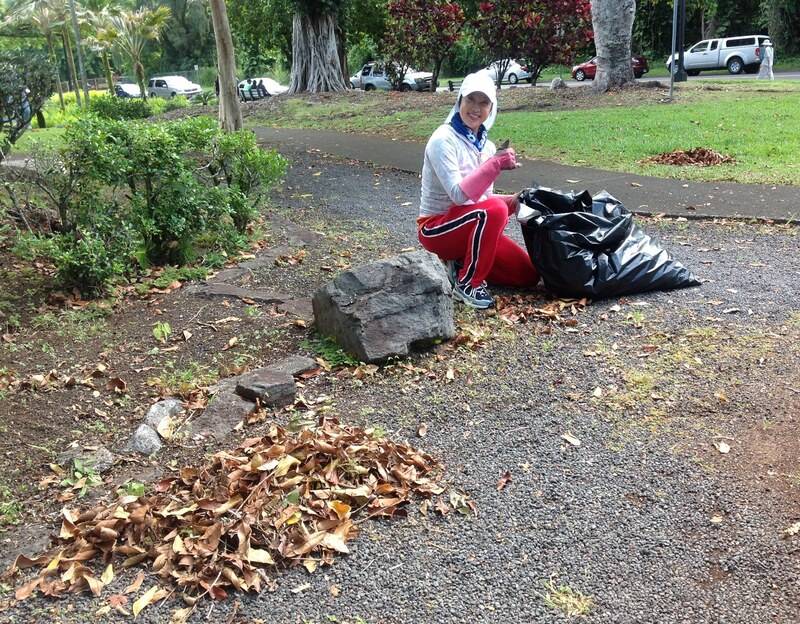 Thanks to Ace Hardware (Home Mart) in Kea`au for the donation of gloves, rakes, and trash bags. 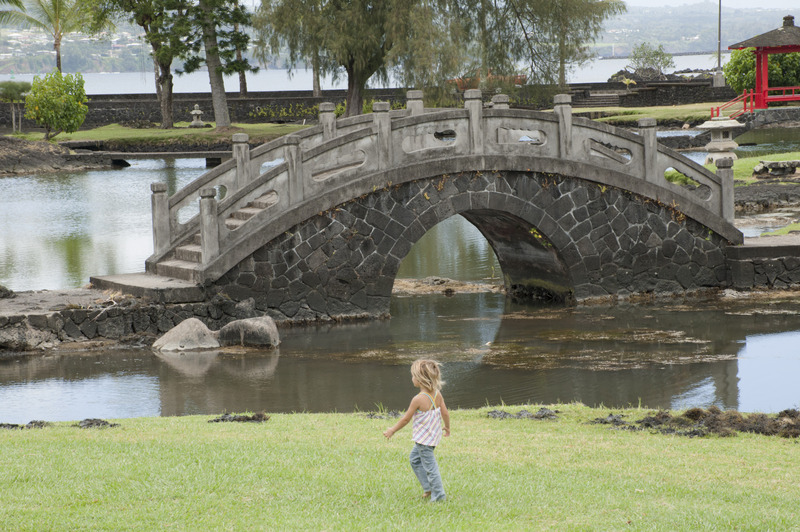 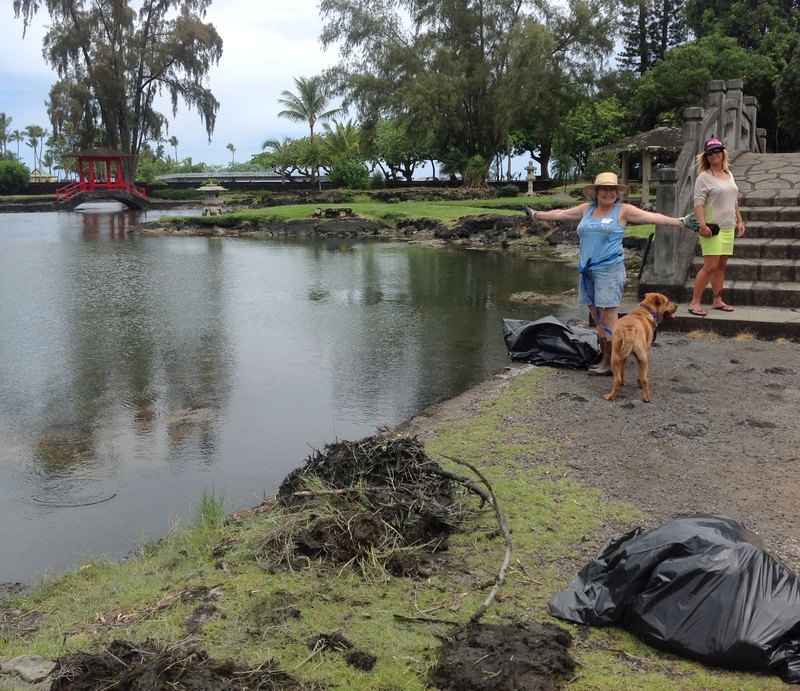 The first volunteer clean-up day — Gratitude for the Gift of the Garden — was held in Lili`uokalani Gardens on the occasion of National Public Gardens Day, Friday May 9. 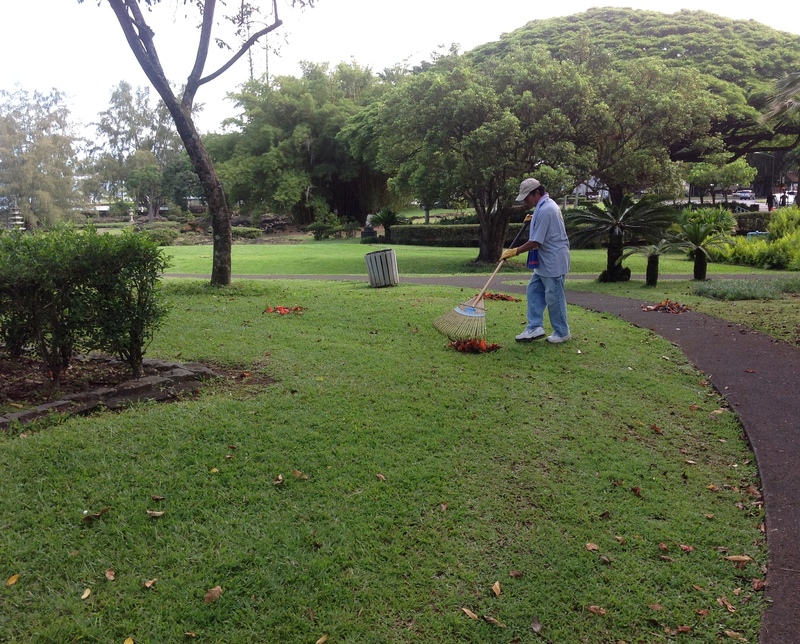 Joining County Parks Department maintenance workers were members of Friends of Lili`uokalani Gardens, Moku Loa Sierra Club, and East Hawai`i Master Gardeners Association. 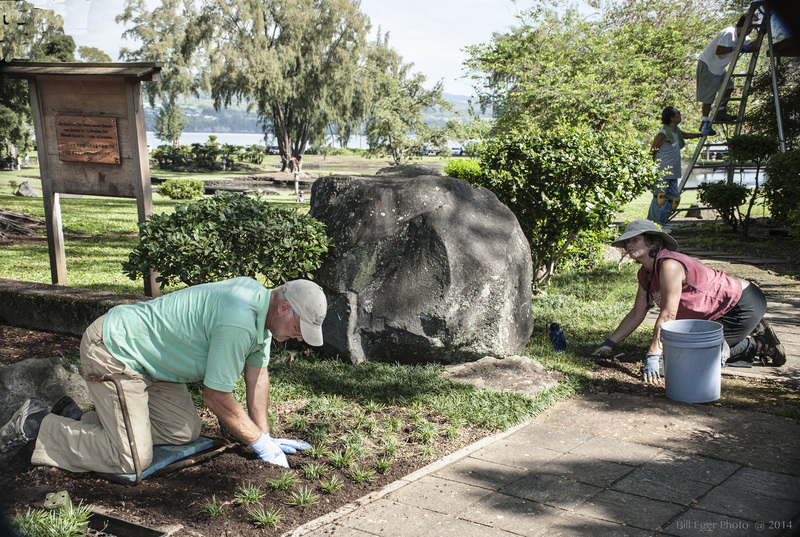 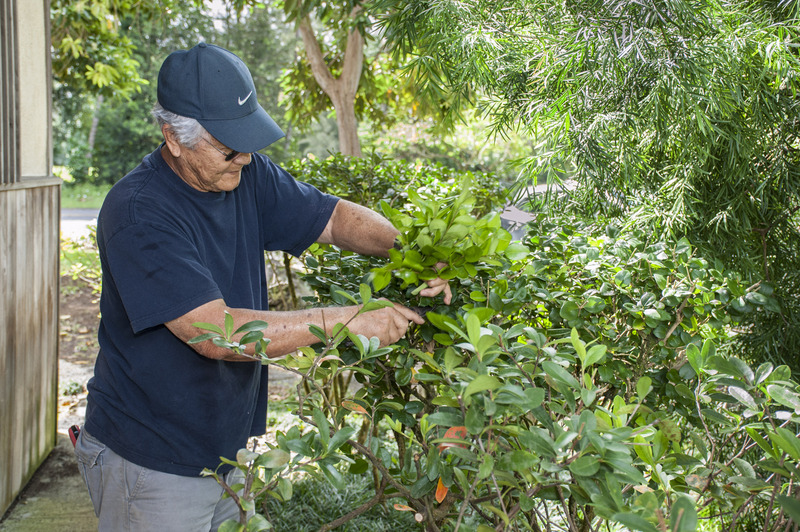 The 17 volunteers assisted County maintenance personnel with chores ranging from stone masonry to painting, weeding to pruning, raking to replanting in three main locations, and fertilizing the azaleas and camellias throughout the gardens. 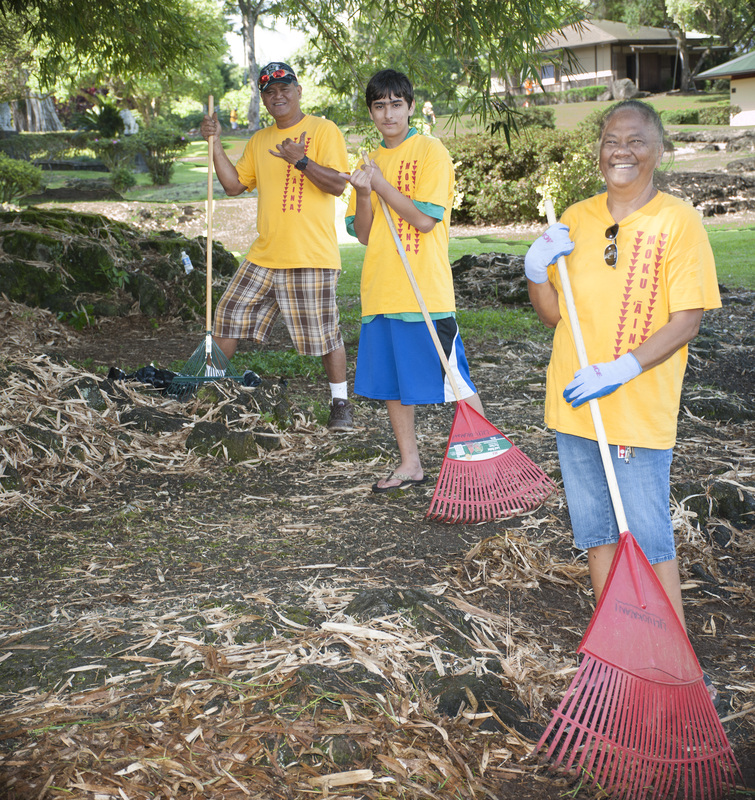 The next volunteer days are Friday, June 13, and Friday, July 11, from 8 a.m. until noon. 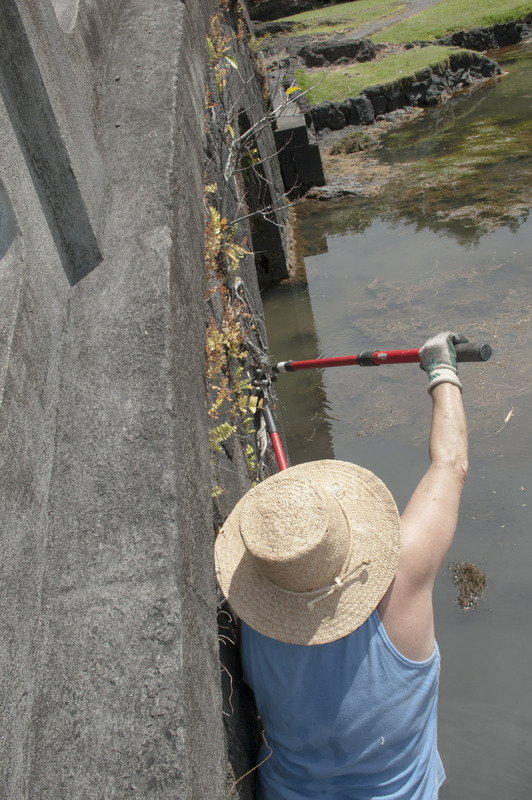 Water and some tools will be provided. 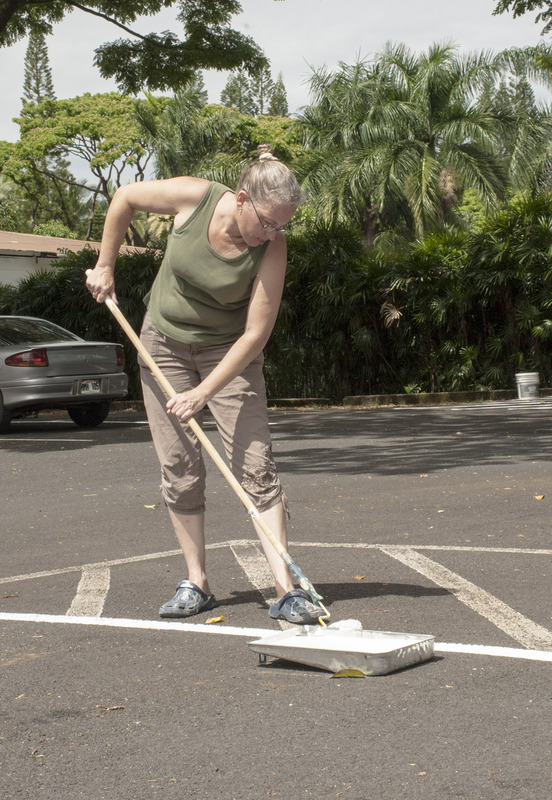 For more information and to volunteer, contact K.T. 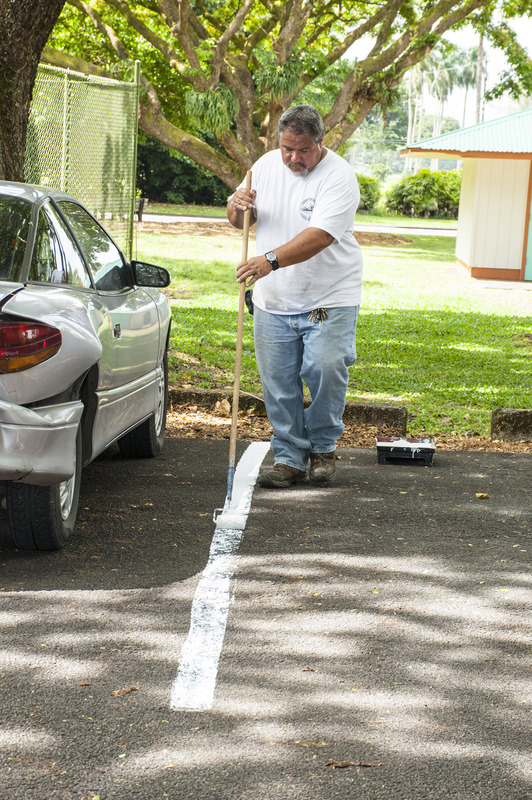 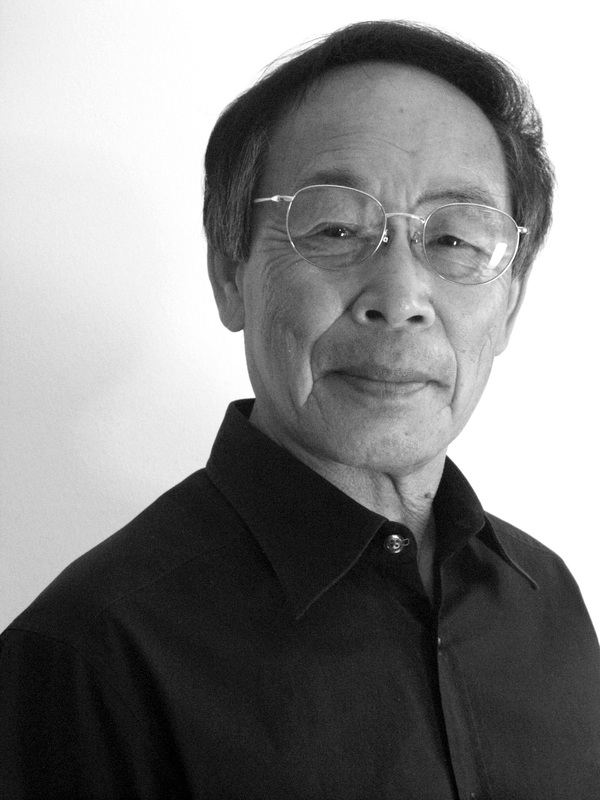 Cannon-Eger at (808) 895-8130.